Individual access to devices in commercial, public sector, education and healthcare organisations. 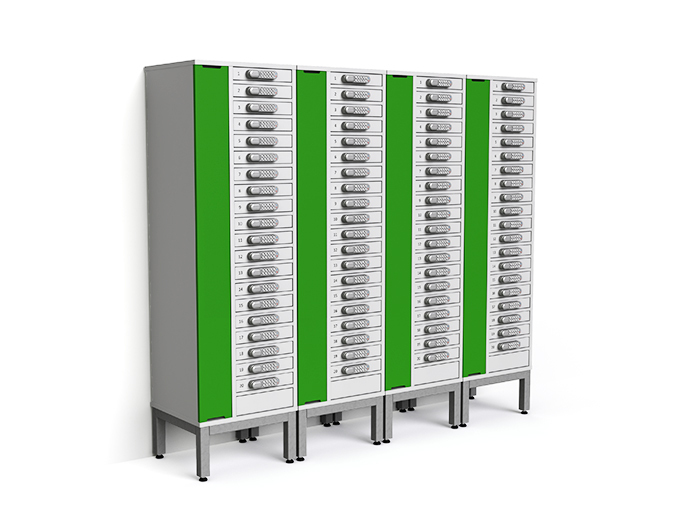 The 20 bay charging locker modules can be used singly or combined to create banks of floor standing lockers. 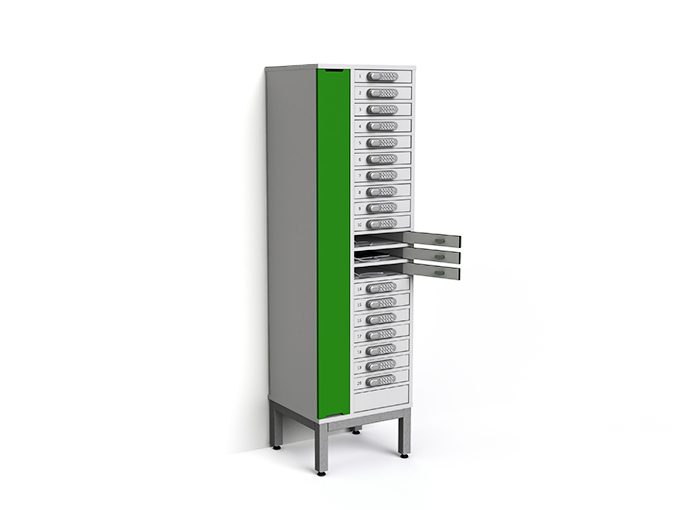 The compact laminate locker doors can be fitted with either key, mechanical combination, RFID or digital code locks. The digital code lock options can be configured for individual or multi-user operation (just like a hotel safe) using 4 digit codes and is supplied with a master override key. 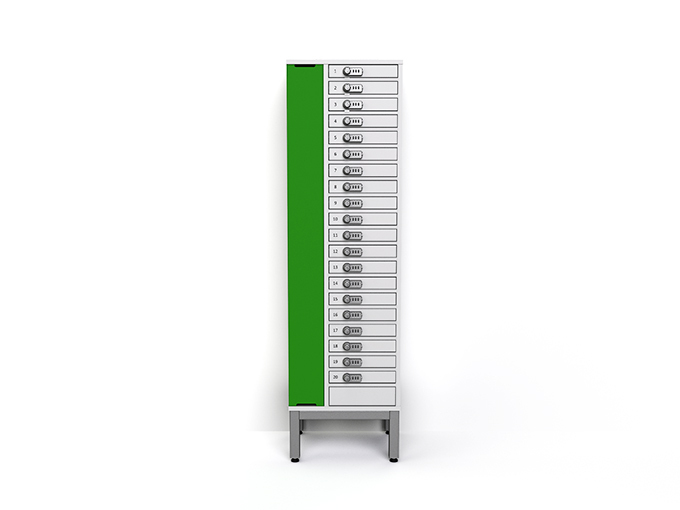 The lockers are very compact with a small footprint and total height (including base frame) of 1.6m. 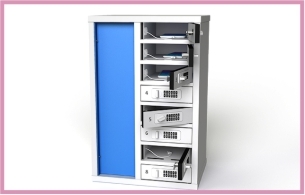 The locker compartments are suitable for iPads, Chromebooks, smaller laptops, ultrabooks, iPads and android & Microsoft Surface tablets, typically with screen sizes up to 12″ (but please check dimensions before ordering). 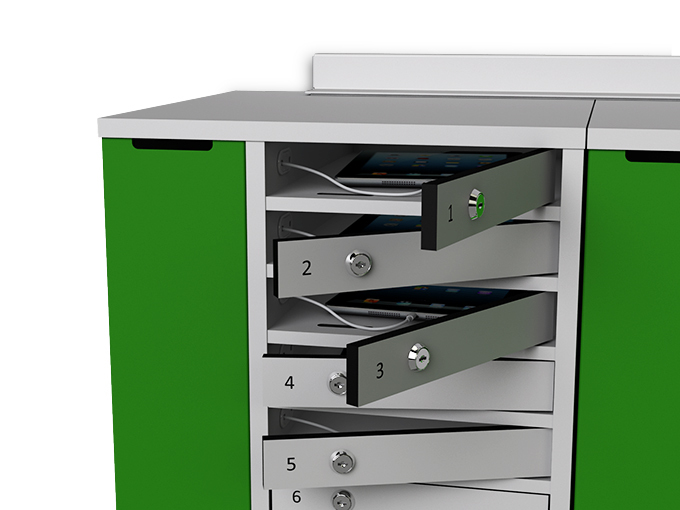 The zioxi 1:1 Ultrabook Charging Locker has a separate electrical compartment for plugging in and storing plugtop &/or desktop style AC power adapters; so there’s no need for users to cart around adapters and cables. Also available with integrated USB power modules. 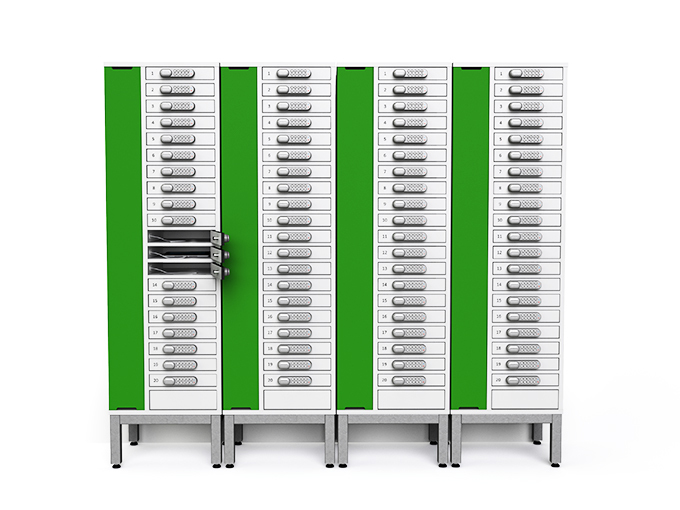 Only a short length of charging cable is presented into each locker compartment.